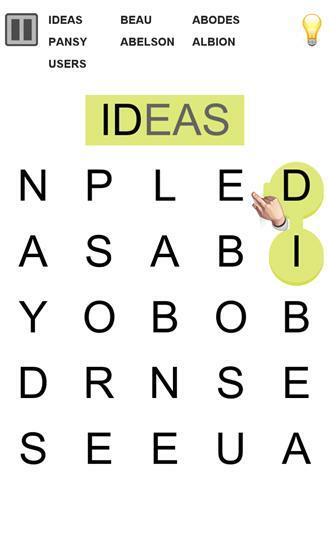 Discover all the words hidden in the grid! A new classic shows up at Magma Mobile! 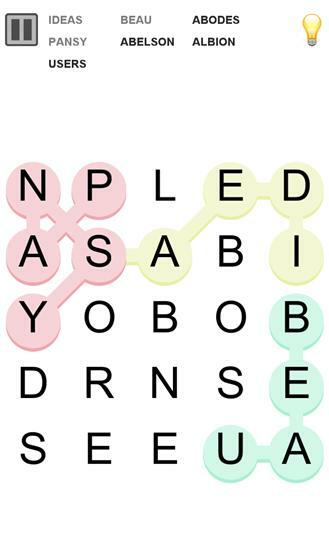 On the same principle as crossword puzzles, this game asks you to find a set of words placed in a mixed grid of letters. You will have the opportunity to choose from two game modes: Challenge (solve series of varying difficulty levels) and Time Attack (find out as many words as possible in a given time). In addition, this game has a words’ base referenced in dictionaries of more than a dozen languages. Several categories of words are also listed including: names, common names, adjectives, verbs... Features of Words: - Available in several languages - Several difficulty levels (Easy, Medium and Hard) - Several time sessions in Time Attack Mode (1, 3, 5, 10, 20, 30 min) - Online dictionary to find an unknown word while remaining in the game Share your experience and play Words with your family or your friends!